To make the KVS Checkbox which can generate simple image patterns. 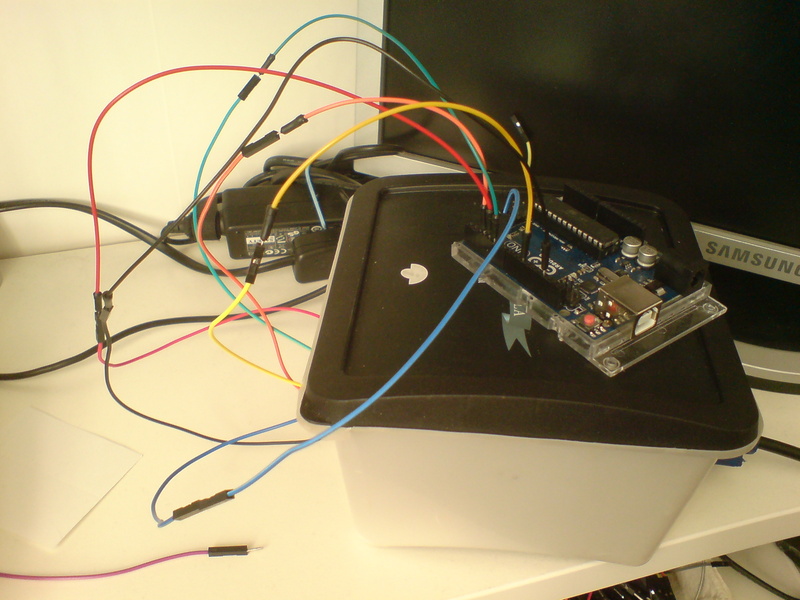 Please notice that this is essentially a clone of Gammon's brilliant Arduino project, so all credits go to his talent and generosity. Please respect his copyright notice in the code. 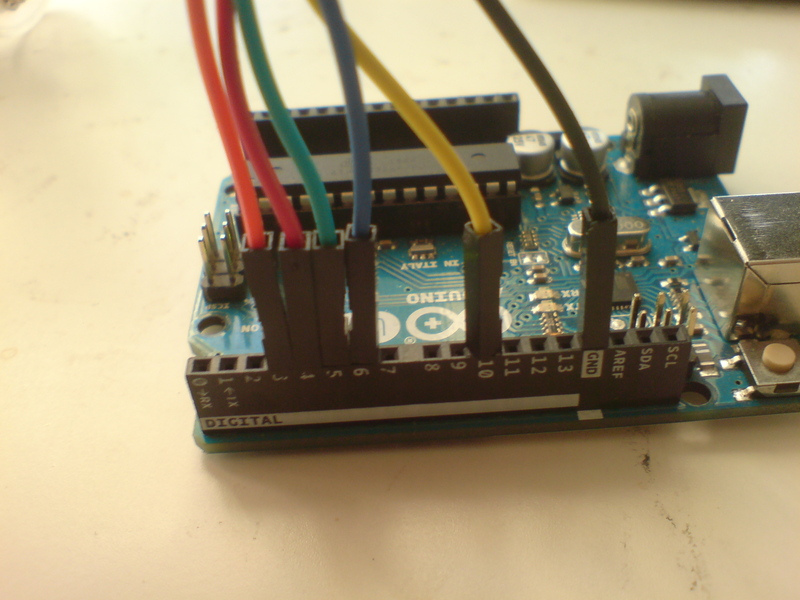 What is an Arduino and how do I use it? What is additive color process? Note: As written, this sketch has 34 bytes of free SRAM memory. //  takes 6 clock cycles to read one in from RAM and send it out the port. const byte verticalBackPorchLines = 35;  // includes sync pulse? Next, you have to add a file called "TimerHelpers.h" to the project. Save the project you're working on. Then go to the directory and create an empty text file called "TimerHelpers.h" (make sure ".h" is the filetype). Add the code below to this document, save it and use "Sketch > Add File..." in Arduino IDE's menu to add the helper code. It should now open as a new tab in the project window. Devised and written by Nick Gammon. Licence: Released for public use. Board setup correct in IDE? Arduino version correct in IDE? Make sure you add the TimerHelpers.h to the project as described above. 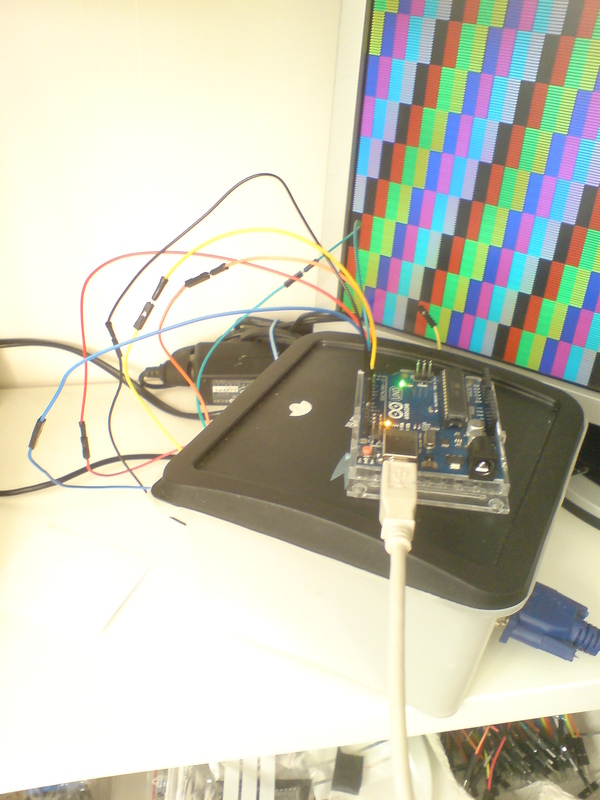 Power on the Arduino and the monitor, and you should see a checkbox pattern. Again, you should experiment with unplugging and shifting the three color cables to see what results it produces and explore how 8 different colors are made by combining just colors of red, green and blue. This process is also known as additive color. Congratulations In this example, we just copied the code from Gammon in order to make a simple Arduino-based pattern generator. 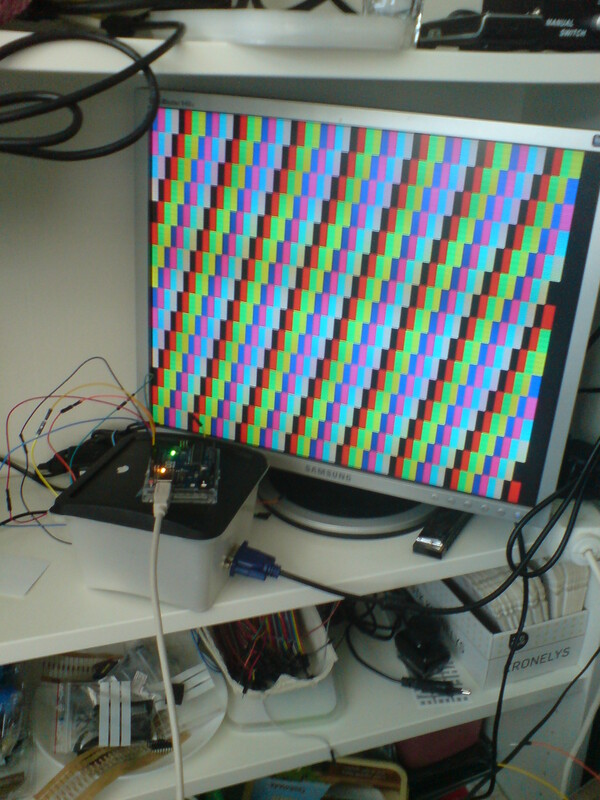 In the next tutorial we will experiment some more with Gammon's code, Arduino programming and additional input components in order to make the KVS Videobox (aka Kaspers Videobox 1) [coming soon].